US President Barack Obama has announced the relaxation of financing restrictions for trade with Cuba, but banks are likely to remain cautious. Whereas in the past, American products sent to Cuba had to be paid for in advance or shipped via a third country, the revised rules make it possible for banks to finance exports of any product other than agricultural commodities, which remain under embargo. They are now authorised to handle both open-account sales and letters of credit. Additionally, items that have been banned for years, such as textbooks, construction cranes or sanitation equipment, can now be approved by the American government on a case-by-case basis, opening the way for infrastructure projects. These latest changes form part of President Obama’s drive to restore normal relations with Cuba after decades without any collaboration. But the series of steps recently taken by the American administration seems to have left US banks dubious. Contacted by GTR, Bank of America Merrill Lynch said it was not in a position to comment. JP Morgan, BNY Mellon and Citi were not immediately available for comment. “Beyond seeking to understand the political and commercial risks inherent in these markets, banks’ legal departments are going to take the time to examine any such rulings closely – as well as remaining US sanctions, international law, and implications in today’s regulatory environment – in order to assure the avoidance of any possible penalties or other downsides for their institutions. “Similar levels of due diligence may be anticipated from large corporates, credit insurers, and other US companies hungrily eyeing these new markets,” Gary Mendell, president of US trade finance company Meridian Finance Group, tells GTR. According to Timothy O’Toole, an export control specialist at law firm Miller & Chevalier in Washington DC, banks are right to be careful. “The press surrounding President Obama’s announcement of changes to the Cuba policy has been a lot more dramatic than the changes themselves. The embargo remains, tourism in Cuba by US persons is still prohibited, and a huge number of restrictions still exist on US corporates and banks who want to do business in Cuba,” he says. “US banks are still very limited in what they can finance; for the most part, the loosening of finance restrictions have corresponded with the loosening of restrictions of on travel and trade. In other words, as regulators have allowed more US/Cuba travel and trade, they have allowed US banks an increased role in financing that authorised travel and trade. But most other restrictions on US banks remain in place,” he adds in an email to GTR. 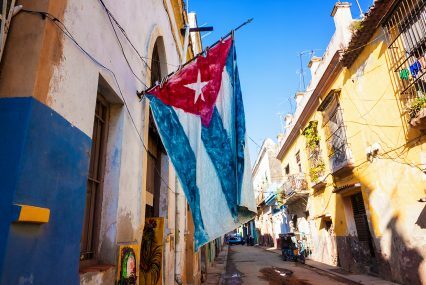 Banks have been extremely conservative regarding Cuba, for fear of violating sanctions, but there are also concerns about the durability of the new US/Cuba relations, with an opposition-led Congress that has so far refused to lift the embargo, and the possibility of a Republican president taking office early next year. It is likely American banks will wait for further confirmation from the government before resuming trade finance activities with Cuba, despite the increased corporate enthusiasm for the country. “My clients have two concerns. One is that they don’t want to be late to the Cuba trade. The countervailing concern is the continued risk from violating the embargo, particularly given the political uncertainty surrounding how long any changes in the Cuba policy will last. So far, I think the latter concern about continued risk is prevailing, and caution is winning the day. But I think each step being taken by regulators to encourage additional Cuba trade and travel is starting to convince companies and individuals that a new day is really here, and if they wait any longer they’ll be late to the party,” adds O’Toole. Mendell explains that Meridian can proceed “somewhat more nimbly” than banks, and that the company has engaged partners in the credit insurance and trade finance communities, as well as legal counsel, to determine what kind of business it can undertake in Cuba. “When new opportunities arise we’re keen to get out in front of the curve… but in this case we intend to do so only following plenty of due diligence and with appropriate caution,” he says.